Monday, July 8 @ 1:00 p.m.: Mad Science presents an interactive hour of science. This workshop focuses on Machines! For ages 5+. Spaces are limited and registration is required. Sponsored by the Shea Children’s Endowment and Charitable Trust. Registration opens on July 1 and can be done by phone or online at our website. Tuesday, July 9 @ 1:00 p.m.: Book Bingo! For ages 6+. Registration required, begins on June 24 and can be done by phone or online at our website. Wednesday, July 10 @ 7:00 p.m.: PJ Story Time. Drop in and join us for bedtime stories, music, and air conditioning! No registration required. All ages! Sponsored by Triumph, Inc.
Thursday, July 11 @ 10:30 a.m.: Yoga class with Maha Yoga instructor Kendra Tansey. Ages 8+. Registration required. Sponsored by the Shea Children’s Endowment and Charitable Trust. Registration begins on July 1 and can be done by phone or online at our website. Monday, July 15 @ 1:00 p.m.: Mad Science presents an interactive hour of science. This workshop focuses on Dinosaurs! For ages 5+. Spaces are limited and registration is required. Sponsored by The Shea Children’s Endowment and Charitable Trust. Registration opens on July 8 and can be done by phone or online at our website. Tuesday, July 16 @ 10:00-11:00 a.m.: Join us for Spanish Story Hour. Offered to children ages 3-6. Your child will be introduced to Spanish words, music, and stories. Each class ends with a craft. Participants should be aware this is a 6 week program. Sponsored by the Shea Children’s Endowment and Charitable Trust. Wednesday, July 17 @ 7:00 p.m.: PJ Story Time. Drop in and join us for bedtime stories, music, and air conditioning! No registration required. All ages! Sponsored by Triumph, Inc.
Thursday, July 18 @ 10:30 a.m.: MamaSteph performs! Stories and songs for all ages. No registration required. Sponsored by the Shea Children’s Endowment and Charitable Trust. Monday, July 22 @ 1:00 p.m.: Mad Science presents an interactive hour of science. This workshop focuses on Bugs! For ages 5+. Spaces are limited and registration is required. Sponsored by The Shea Children’s Endowment and Charitable Trust. Registration opens on July 15 and can be done by phone or online at our website. Tuesday, July 23 @ 10:00-11:00 a.m.: Join us for Spanish Story Hour. Offered to children ages 3-6. Your child will be introduced to Spanish words, music, and stories. Each class ends with a craft. Participants should be aware this is a 6 week program. Sponsored by the Shea Children’s Endowment and Charitable Trust. Wednesday, July 24 @ 7:00 p.m.: PJ Story Time. Drop in and join us for bedtime stories, music, and air conditioning! No registration required. All ages! Sponsored by Triumph, Inc.
Thursday, July 25 @ 10:30 a.m.: Yoga class with Maha Yoga instructor Kendra Tansey. Ages 8+. Registration required. Sponsored by the Shea Children’s Endowment and Charitable Trust. Registration begins on July 1 and can be done by phone or online at our website. Monday, July 29 @ 1:00 p.m.: Mad Science presents an interactive hour of science. This workshop focuses on Earthworks! For ages 5+. Spaces are limited and registration is required. Sponsored by The Shea Children’s Endowment and Charitable Trust. Registration opens on July 22 and can be done by phone or online at our website. Tuesday, July 30 @ 10:00-11:00 a.m.: Join us for Spanish Story Hour. Offered to children ages 3-6. Your child will be introduced to Spanish words, music, and stories. Each class ends with a craft. Participants should be aware this is a 6 week program. Sponsored by the Shea Children’s Endowment and Charitable Trust. Listen Up: USS Indianapolis Sunk…….. 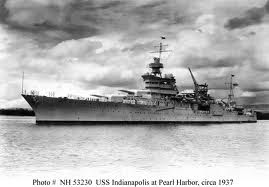 Shortly after midnight on 30 July, halfway between Guam and Leyte Gulf, a Japanese sub blasted the Indianapolis, sparking an explosion that split the ship and caused it to sink in approximately 12 minutes, with about 300 men trapped inside. Another 900 went into the water, where many died from drowning, shark attacks, dehydration or injuries from the explosion. Help did not arrive until four days later, on 02 August, when an antisubmarine plane on routine patrol happened upon the men and radioed for assistance. 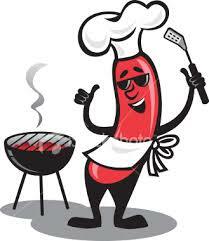 The Bridgewater Senior Center will be hosting a Grandparents’ Day BBQ on July 17, 2013, at 11:30a.m. Join us for hot dogs, ice cream, Wii, Hula Hoop and Blinkee The Clown. $3.00 donation. Kids are free. Grandchildren are not required for you to come and have a great time!! For further information and to sign up please call the senior center at 508 697-0929. 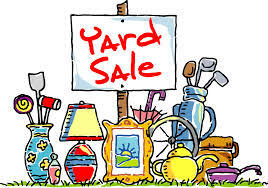 Saturday - June 22 from 8-2 - at 340 Pleasant St. (Faith Chapel / America's Little Angels Preschool ) we will be having a large yard sale and vendors. Vendors in attendance will be 31 Bags, Pampered Chef, Tupperware, Tastefully Simple and some others. All proceeds will benefit a new non profit Angels in America. 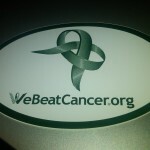 Bridgewater resident Dennis Gallagher is running the Falmouth Road Race to raise funds for We Beat Cancer, a 501c3 organization that provides help and assistance to cancer patients and their families while they are undergoing cancer treatment. The monies raise help with parking, transportation, rent, food supplements not covered by insurance, child care and anything that will make the cancer patients life a little easier. To support Dennis in his fundraising efforts, please click here to donate online. This will be the 3rd Annual Around the Common downtown Bridgewater cleanup! Last year we hauled several bags out of downtown and left the area "Around the Common" to look a little cleaner than when we arrived. Please plan on bringing gloves, rakes, brooms and trash bags to the cleanup. Many hands will make light work and this will be a great way to give back to our community! Please pass this on to people you think might be interested. We will meet in front of the Academy Building at 8AM. 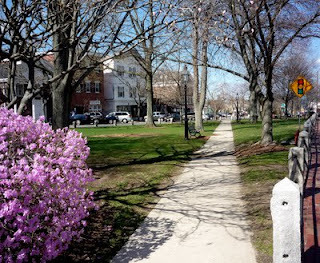 If you are a business that would like to donate to the cleanup, please email Kevin at aroundthecommon@gmail.com. We could use trash bags, snacks for volunteers or maybe a gift certificate to raffle off to volunteers! You can also RSVP for this event on Facebook by clicking here. Jamaal Eversley will be exhibiting a selection of his work at the Bridgewater Public Library from June 14th through the end of August. Nerd Meets World is an American art exhibit that chronicles the coming of age events and everyday love-lessons of Spencer Ward, an eccentric genius, through his freshman year to graduation at Eachville High. Nerd Meets World abstractly follows the exploits of Spencer Q. Ward who is the personification of the zany nerd, with large, thick coke bottle glasses, outrageous rosy polka dotted trousers and an audacious collection of grandma knitted ribbed sweaters. The artwork in Nerd Meets World is meant for cultural consumption by the masses. It’s meant for everybody – for anybody willing to connect with the composition and allow their imagination to soar. Jamaal Eversley is in pursuit of recreating visual grammar that is fundamentally cold and offers little emotional depth but allows him to genuinely tell loose, abstract stories. Color is used as the main tool to capture attention, kindle emotions and evoke a response from the viewer. Trying to use color in ways nobody else has thought of, Jamaal’s aim is to establish a unique color scheme of pattern and design that is universally recognizable and can be understood and accepted by different communities and cultures. Nerd Meets World is meant to spur the juices of creative genius and put the “F” meant for “Fun” back into Fine Arts. Enjoy this family friendly art exhibit! Jamaal Eversley, born in 1988, hails from Randolph. With a business degree from Babson College, he decided to chase after his dreams and passionately pursue his talents as an eccentric abstract artist. He strives through several mediums to achieve rich vibrant pieces conveying color harmonies between the line of being soothing or exciting. It’s all about the bold colors and capturing the effect they have on the viewer. 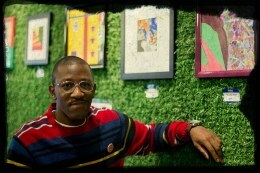 Jamaal is determined to intertwine business with the arts in order to better serve the community. For more information about Jamaal, visit his webpage at jamonit.carbonmade.com. The Flora T. Little Gallery is open during regular library hours and is located on the second floor, which is accessible by elevator. The Bridgewater Public Library is open: Monday, Tuesday and Wednesday from 9a.m.-8p.m. ; Thursday 10a.m.-5p.m., Friday and Saturday 10a.m.-2p.m. The library is located at 15 South Street. Amateur Civil War Historian Dana Zaiser of Norton will be speaking at the Bridgewater Public Library on Tuesday, June 11th at 7p.m. Dana will be doing a Power Point Presentation entitled “Money Alternatives of the Civil War”. During the Civil War, there was a tremendous coin shortage as people hoarded silver coins and copper/nickel cents. Businessmen resorted to using stamps, encased stamps, paper scrip, government issued fractional currency, and tokens to make small change for customers. alternatives. Dana can take a potentially boring subject and make it a lot of fun! Those who have any old coins, tokens or medals that they think may be from this era are invited to bring them along and Mr. Zaiser will take a look at them. Mr. Zaiser has received two awards from the Civil War Token Society (www.cwtsociety.com) for his original research into Civil War tokens. In 2009, the Olde Colony Civil War Round Table in Dedham gave him their Revere Award for his promotion of Civil War education and preservation. He is looking forward to having two articles published in 2013 in a national Civil War magazine. This program is sponsored by the Friends of the Bridgewater Public Library. It will be held in the Flora T. Little Meeting Room on the library’s lower level. Parking is available in back of the library, located at 15 South Street. The Bridgewater Recreation Commission is accepting registrations for the fall, 2013 cross country running program. 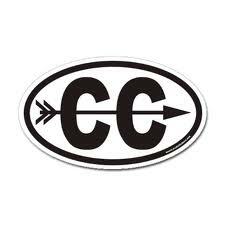 The cross country running program, entering its ninth season, is set to begin on Saturday, September 7. The program, which is open to Bridgewater youngsters entering grades 5-8 in the fall, will take place every Saturday morning, from 9:00-10:00, continuing through November 3. Runners will meet and warm-up at Bridgewater State University’s Tinsley Center (behind Swenson Field) and then run on the trails on Great Hill. The program will be directed by Sam Baumgarten, Kim Larcom, and Joe Gillis. Sign up forms are being distributed through the schools and will also be posted on the Town website (www.bridgewaterma.org and the track/cross country site, www.bridgewateryouthtrack.webs.com ). For additional information, contact the Recreation office at 508-697-8020 or call Sam at 508-697-6848. Also, looking ahead, the Commission will be sponsoring the 34th annual Bridgewater Kids Road Race, tentatively set for Sunday, September 29, at 2:00 p.m. The one mile race is open to Bridgewater children in grades K-8. Sign up forms for the road race will be available in the schools in early September and will also be posted on the websites. 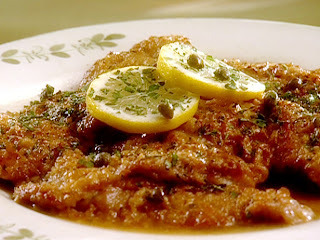 As a way to raise funds for a Habitat for Humanity home being built, Dining for a Cause is planned at Porticello's, Rt. 138, South Easton. Habitat for Humanity is building a new, affordable home in Easton for a family from Bridgewater. 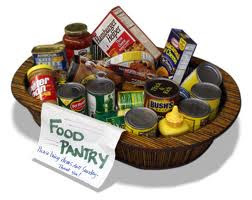 On June 12, bring in the voucher at www.sshabitat.org and the Easton Habitat home will receive 20% of your food bill. Have a four seasons pizza in the lounge, enjoy Gnocchi alla Checca or Veal Piccata for dinner, but remember that their crème brulee pairs wonderfully with a latte. Treat yourself to a great meal and treat a family in need. Please tell family, neighbors, co-workers, and friends to attend too. For any questions about the dining fundraiser, call 508-238-2531. The Taunton Area Branch of the AAUW met on May 18th to honor its local scholarship recipient and award winners at the 13th annual Recognition Tea. The following young women were recognized as Remarkable High School Juniors: Nina Colombotos, Bridgewater-Raynham Regional High School; Savannah Haines, Bristol County Agricultural High School; Jacquelyn Rehm, Bristol-Plymouth Technical High School; Christina Strachoff, Coyle and Cassidy High School; Hannah Steenhuysen, Dighton-Rehoboth High School; Danae Reaves-Bey Browne, Taunton High School. The Anna Shaff Memorial Book Awards for 2013 were presented to six graduating high school seniors: Amanda Fava, Bridgewater-Raynham Regional High School; Leah Burns, Bristol County Agricultural High School; Deanna Gouvia, Bristol-Plymouth Technical High School; Bridget Nolan, Coyle and Cassidy High School; Victoria Alves, Dighton-Rehoboth High School; Jayme Lipkind, Taunton HighSchool. The award winners received copies of Women Who Changed the World: Fifty Inspirational Women Who Shaped History. Phoebe Laplante, a student at Quinnipiac University, was the recipient of the Mary Anderson Memorial College Scholarship Award. 26th at 10a.m. in the Flora T. Little Meeting Room. The workshop will be presented by One Life at a Time, a non-profit organization that offers free resources, services, training and placement assistance to those that are un- and under-employed. They aid individuals from all walks of life with the job ready skills needed to be successful in the work place. 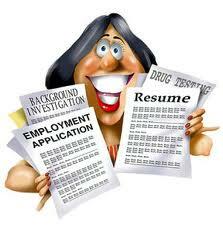 This workshop will give your resume a fresh look and give tips for greater employer response. A resume is not required for this workshop. However, it would be beneficial to bring one and make edits. Registration is requested. Call One Life at a Time at 781-884-0031. Space is limited, so sign up soon.